Chlorine is a chemical element that occurs in the gaseous state under normal conditions. It is very choking gas if inhaled in higher concentrations. You may be familiar with this gas if you are a swimmer because in swimming pools this gas is used to kill germs. Chlorine gas is very useful gas but it is also a very toxic gas and may kill a human if inhaled in very high concentration for longer. This gas has been used in chemical weapons of World War 1 and killed many people. 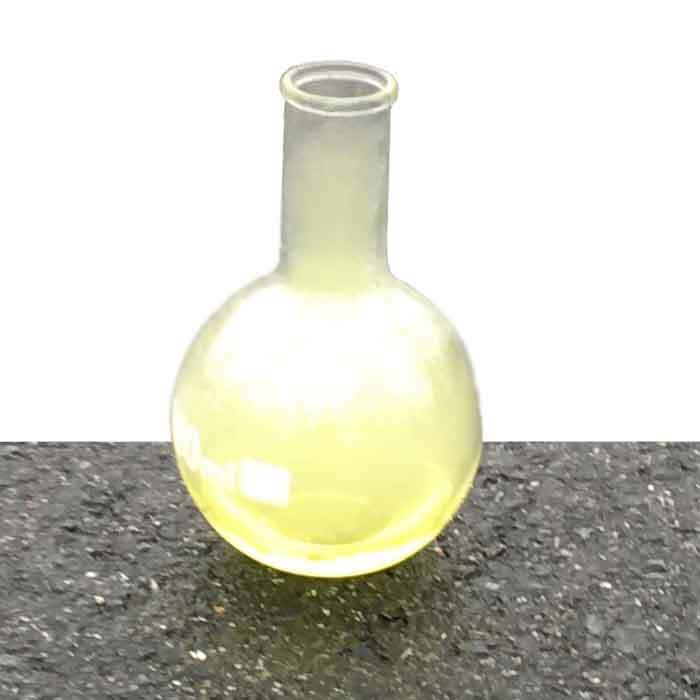 Highly concentrated chlorine gas in a flask. 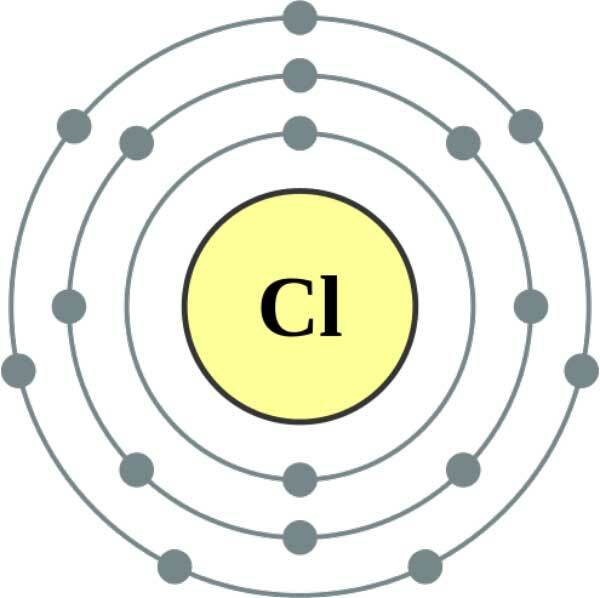 Chlorine is the 2nd lightest element in the halogen group of the periodic table with an atomic mass of 35. Under the normal conditions, it gaseous and is heavier than the air. It is a very reactive element and reacts readily with the electropositive element to make chlorides. It is very soluble gas and easily dissolves in water and reacts with it. Here are a few more characteristics of chlorine gas. Very high electron affinity; it readily accepts the electron. Chlorine is a very useful and important chemical element whose compounds we use regularly like sodium chloride. Beside this, it is also used in industries in large quantities to make a wide variety of products. For example, bleaching agents, insecticides, cleaning products, pharmaceuticals, plastics, and textile. Chlorine is very effective in killing germs and is mostly used to kill the germs from drinking water to avoid infectious diseases. Our body requires table salt that is sodium chloride – a compound of chlorine – to function properly. Furthermore, chlorine was also used in chemical weapons due to its choking and irritation effects on humans. Chlorine is the 2nd most abundant halogen on the Earth and 21st most abundant element in the Earth’s crust. However, it is very rare in the Earth’s atmosphere or in pure form. It is mostly present in the compounds like sodium chloride. There is very high demand for chlorine in its elemental form and the majority of elemental chlorine is produced from brine (highly saline water). Brine contains a very high amount of sodium chloride and electrolyzing it releases the chlorine gas. 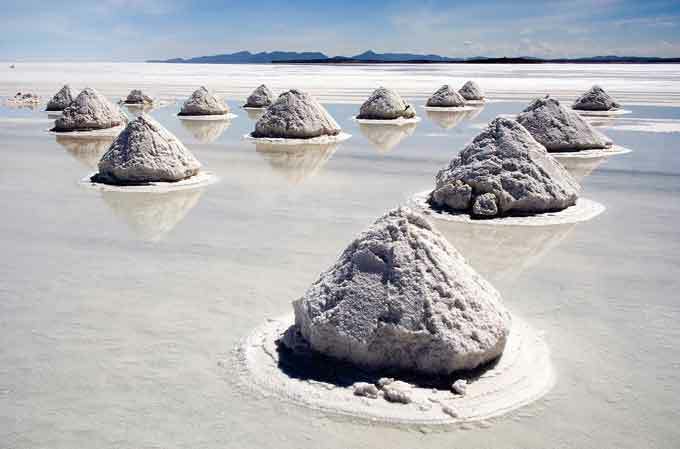 The compounds of chlorine like sodium chloride were in use by humans since ancient times. But the first one to discover and study the chlorine gas was Carl Wilhelm Scheele in 1774. Although he had found the chlorine gas but didn’t recognize it as an element. It took few more decades until an English chemist Sir Humphry Davy did many experiments and concluded in 1810 that the chlorine is an element – not a compound. The first nation to use the chlorine in chemical weapons was Germany who used it against Allied Soldier in WW1. 9% of the total ocean weight is chlorine because oceans contain sodium chloride which is the compound of chlorine. CFCs (Chlorofluorocarbons) are chemical compounds that contain chlorine. These compounds were used in refrigerators and air-conditioners for cooling. But when scientists discovered that, CFCs are destroying our ozone layers, CFCs got banned for this purpose. Abdul Wahab, "Chlorine," in Science4Fun, April 12, 2019, http://science4fun.info/chlorine/.